Whirr premiere dreamy new song "Lines"
Bob Mould plays Jimmy Kimmel Live tonight! Stream new Interpol track "Ancient Ways"
Johnny Marr debuts "Easy Money"
Franz Ferdinand premiere "Stand On The Horizon"
French psychedelic/shoegaze band Dead Horse One released its impressive debut album Without Love We Perish this month. The nine track album was produced by Ride's Mark Gardener and includes two previously released singles, "I Love My Man," and "Raven." Fans of classic shoegaze acts like Ride, Telescopes, Swervedriver, Catherine Wheel, and Revolver should press play and prepare to swoon! Stream the album in full below and order the record now through iTunes or Bandcamp. 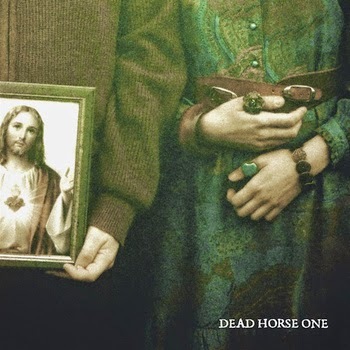 For more on Dead Horse One visit the band on Facebook.